Carl Fairbank - For the Industry. By the Industry. Carl is Founder and Chief Executive Officer of Breakout Capital. Through a decade of work as an investment banker to the alternative finance industry, Carl identified market inefficiencies and widespread industry practices that made it extremely expensive for many small business owners to secure funding. Such capital also carried additional costs frequently not fully understood by business owners at the time of funding. Carl founded Breakout Capital in an effort to bring affordable and fully transparent funding solutions to small businesses with a wide range of credit profiles. Breakout Capital eliminates the hidden costs that have significantly raised the cost of capital to small business owners, enabling the company to offer an affordable solution tailored to each business. 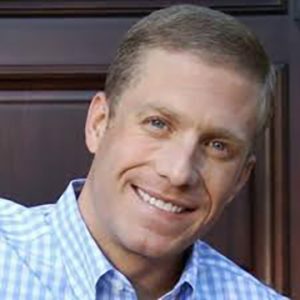 Prior to founding Breakout Capital, Carl worked as an Investment Banker at FBR & Co. and in the Corporate Strategies Group at Capital One Financial Corporation. Carl graduated from American University with a B.S. in Business Administration and Economics. Carl was recognized in the 2016 Trending 40’s list of D.C.’s top entrepreneurs under 40 years old and is a member of the Forbes Finance Council.